Engagement rings are one of the most popular choices to showcase a diamond, but regardless of the setting, you can shop with confidence online by following our tips. Courtesy of John O'Hara. Consumers have more options than ever when it comes to buying diamonds. In addition to jewelry retailers, you can shop from your computer, tablet or smartphone. Many of the same considerations apply whether you’re buying a diamond in person or online, but GIA has a few additional tips for shopping online that will help you click the “Buy Now” button with confidence. As with any significant purchase, start by researching your options. Educate yourself about the 4Cs and determine which diamond qualities are most important to you. This decision, along with your budget, will help guide your diamond purchase. When shopping online, make sure you know exactly what you are buying. Some sites show diamonds with a range in carat weight, color or clarity. To ensure you know the value of the stone you’re purchasing, look for specifics on its 4Cs, not a range. Make sure the diamond comes with an independent grading report, like those provided by GIA, which provides an unbiased analysis of the diamond’s 4Cs. A diamond’s value is largely determined by quality, so an objective, third-party assessment of the 4Cs is critical. 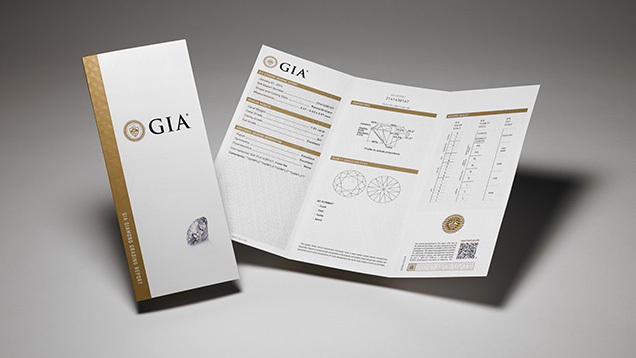 If the diamond comes with a GIA report, you can verify the report details on Report Check, GIA’s secure, online database and even print out a facsimile of the report, when available. It’s a convenient way to make sure that the online product description matches the grading results. 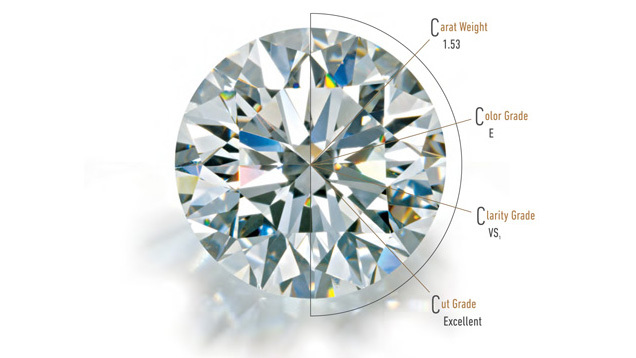 The GIA Diamond Grading Report provides a full assessment of a diamond’s quality using the 4Cs. View a sample report. For added security, find out if the diamond’s grading report number is laser-inscribed on its girdle. In some cases the diamond will be inscribed before it is offered for sale, or it can be requested at the time of purchase. 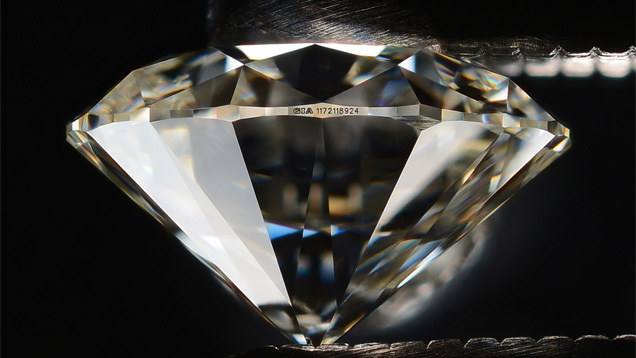 In addition to the diamond’s unique GIA report number, the inscription can be a personal message or symbol for identification. The microscopic inscription is viewable under 10X magnification, using a jeweler’s loupe, and because it’s noted on the diamond’s GIA report, it will help ensure that the diamond you receive matches the report issued for it. What kind of reviews has the company received? Do they offer secure transactions? Are the online representatives helpful? Where is the seller located? How will the diamond be shipped? Is the shipment insured? Is signature required for delivery? Each online retailer or auction site will specify how it will accept payment. If you paid with a credit card and if there is a problem with the purchase, most credit card companies provide recourse. Using a check or a money order for your purchase can reduce your options. For example, U.S.-based consumers have options for recourse when buying from a U.S. based company, such as filing complaints with the Federal Trade Commission (FTC), Jewelers’ Vigilance Committee (JVC), Better Business Bureau (BBB), etc., or pursuing a legal case in civil court. Websites that do not have a physical presence in your home country may be insulated from recourse and attempts to recover funds can be frustrating. Once your beautiful diamond is in-hand, have an independent appraiser confirm that it matches the seller’s description and accompanying paperwork. 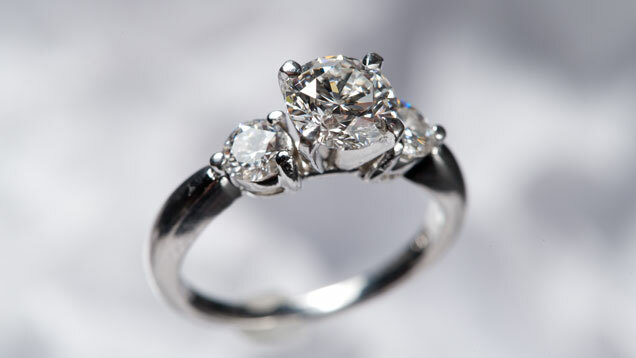 The appraiser will also provide you with the value of the diamond for insurance purposes. The convenience of online shopping can’t be beat if you’re researching your options and trying to narrow your choices. 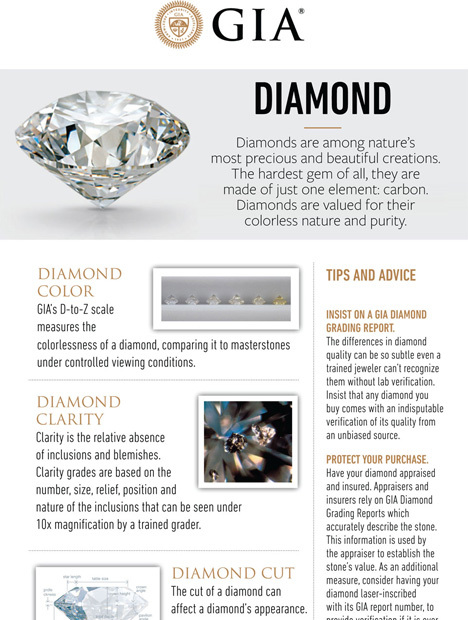 Be aware that diamonds that appear to be almost identical on a grading report − same color, clarity or cut grades − may look different from each other when viewed in person. Ultimately, your decision is a personal one, so seeing the diamond with your own eyes is the best way to determine if it’s right for you. So look for online sellers with retail stores and/or easy and flexible return policies. The vast majority of online diamond purchases go smoothly. Follow the recommendations above to greatly increase your chances for a stress-free and secure online diamond purchase. For more diamond buying tips, visit the GIA 4Cs Blog. You can buy a diamond with confidence when you follow these tips.